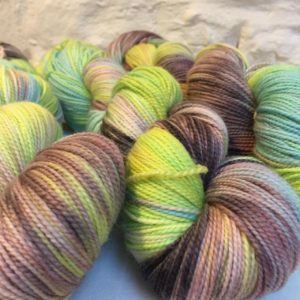 Sheepwash Bridge features super-bright shades of lime green and turquoise with flashes of greys, browns, creams and dusky pink. 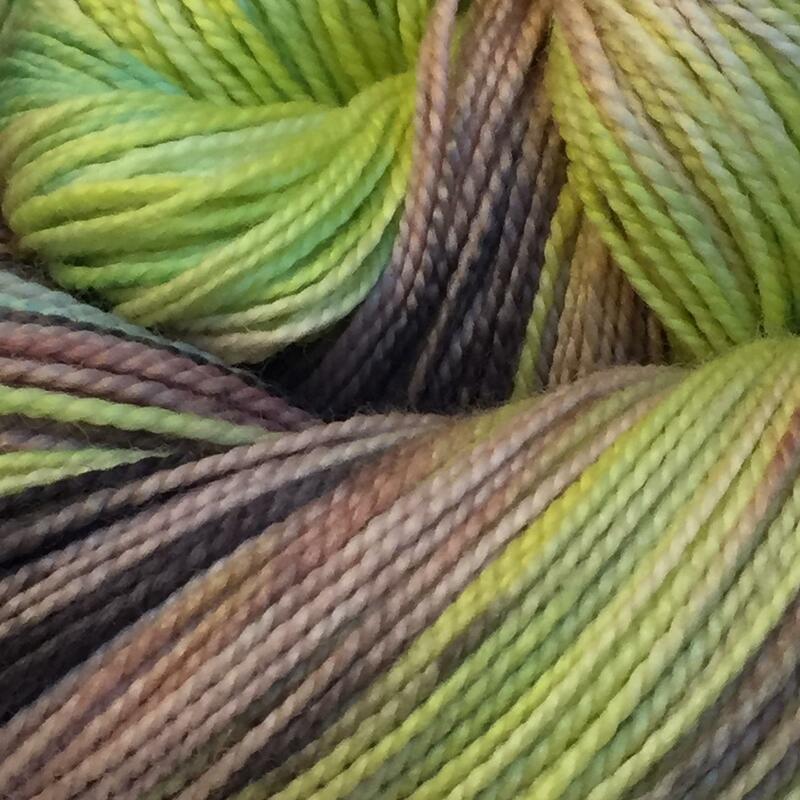 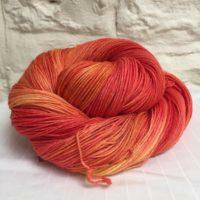 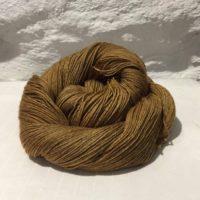 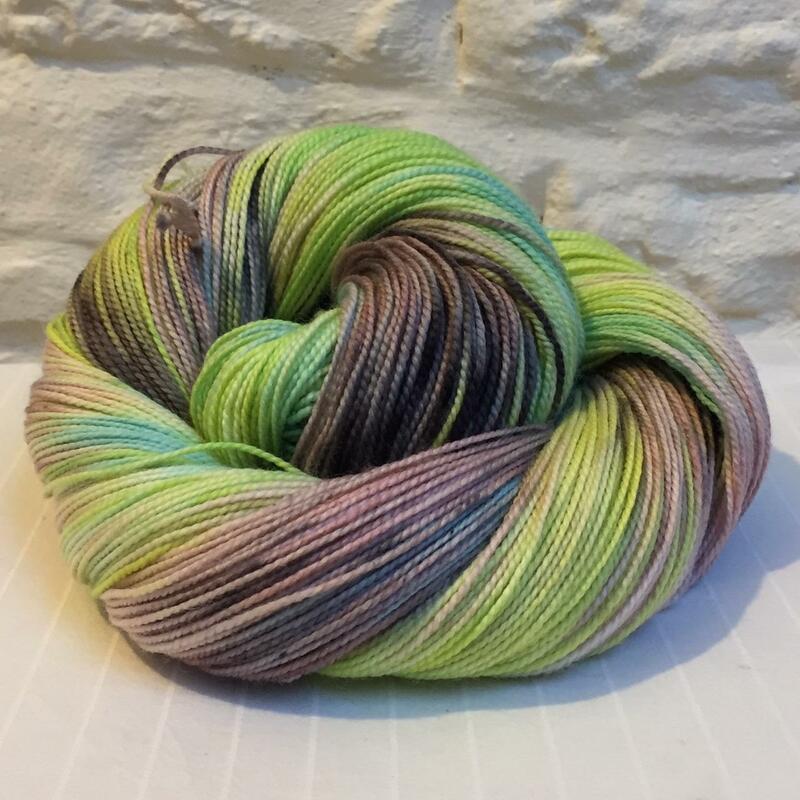 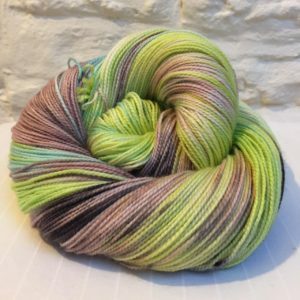 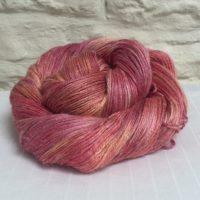 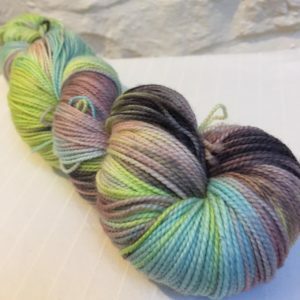 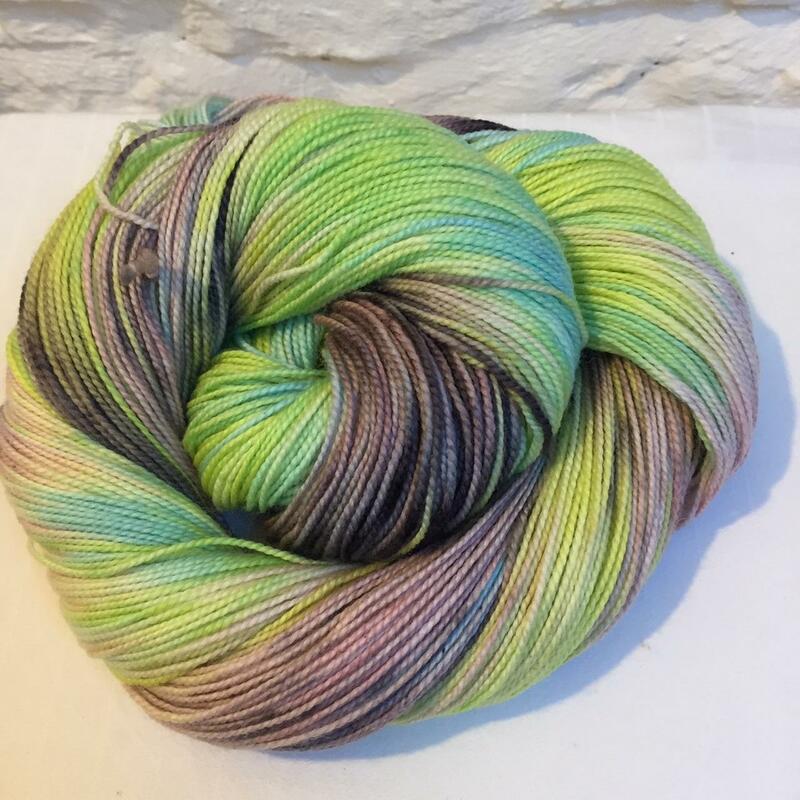 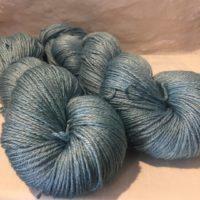 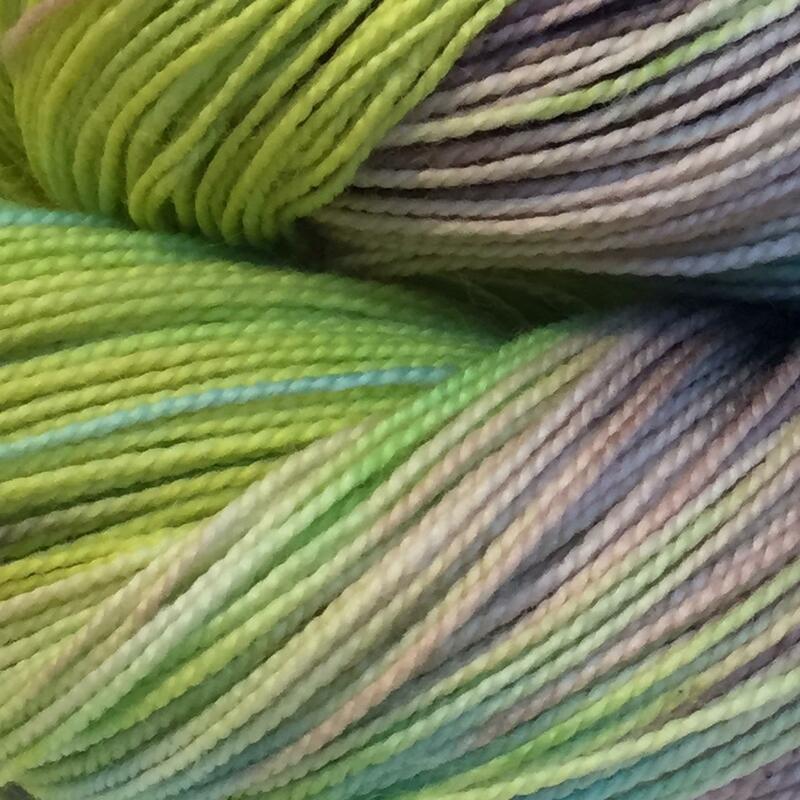 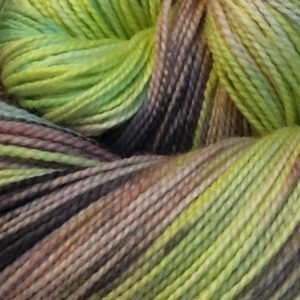 Dyed onto a super-soft merino high twist sock yarn. 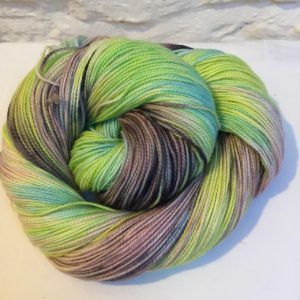 Perfect for socks to wear on a walk across Sheepwash Bridge!